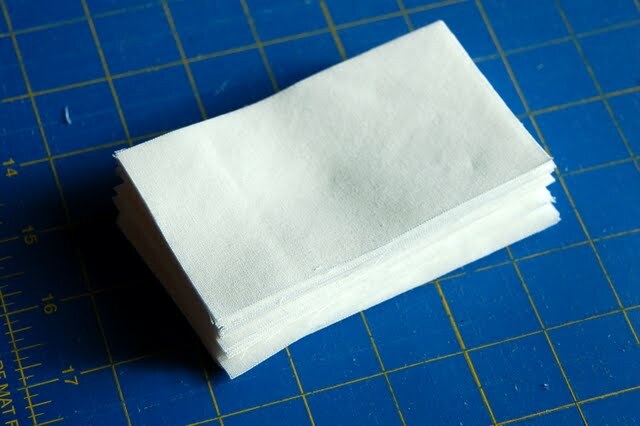 Select 13 layer cake squares to cut 2 1/2″ squares from. 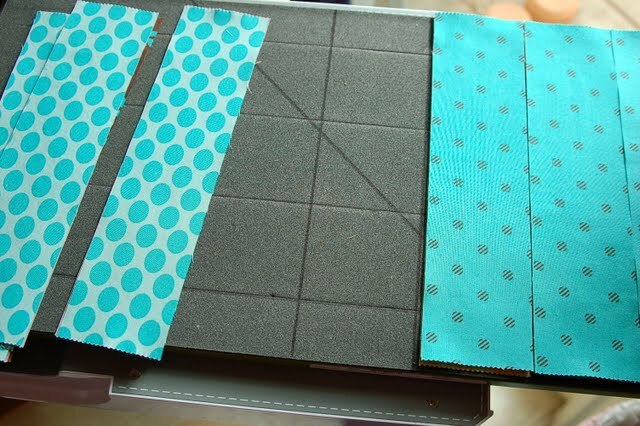 I used my Go! 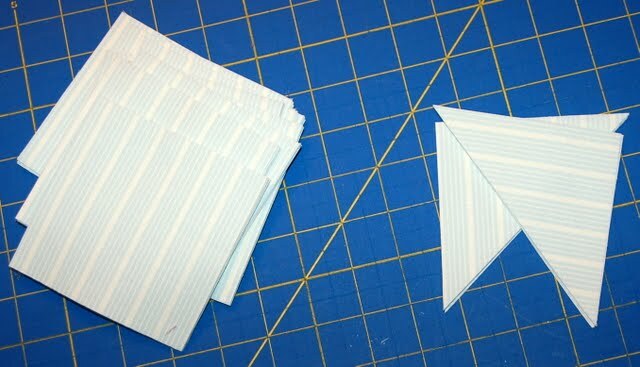 Cutter, to cut in one direction, then in the other. 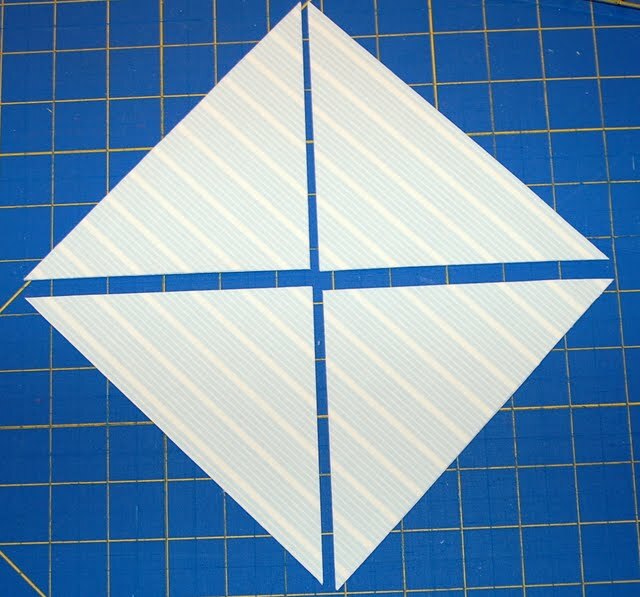 You need 8 squares from each layer cake. 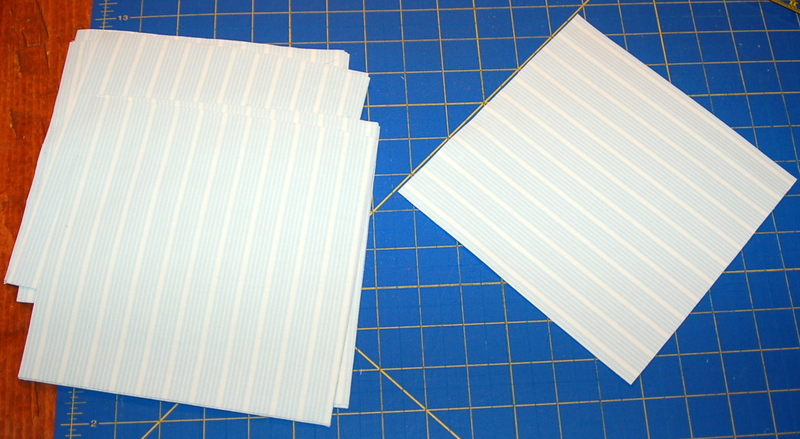 From the solid white, cut 7 – 2 1/2″ strips, then crosscut into 52 – 2 1/2″ x 4 1/2″ rectangles. 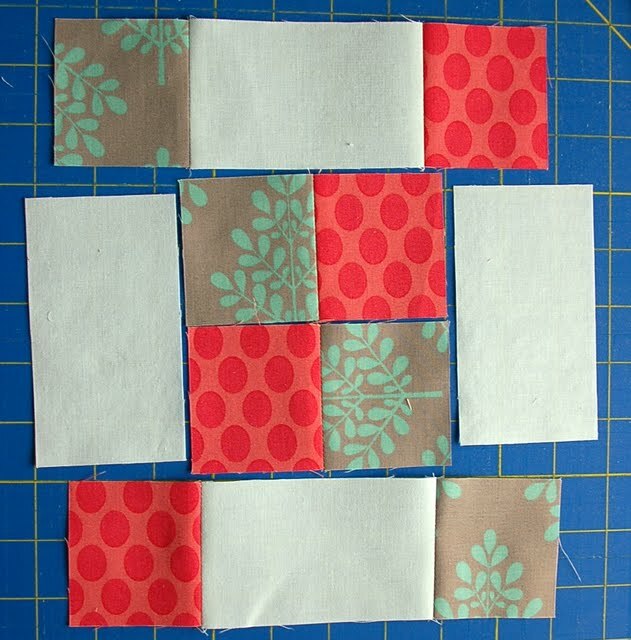 Piece your blocks according to the layout. 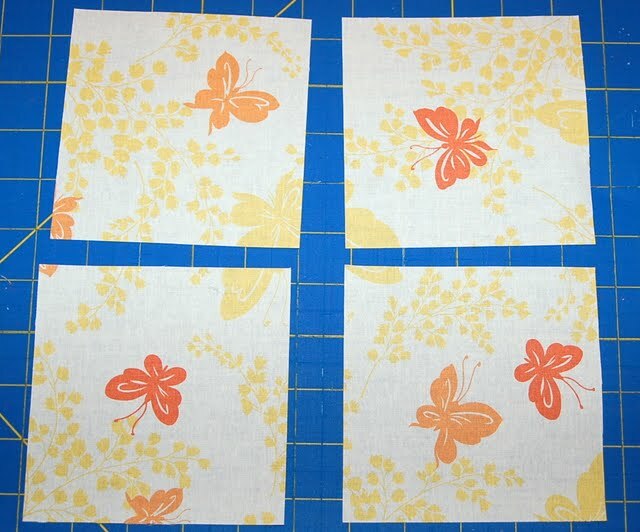 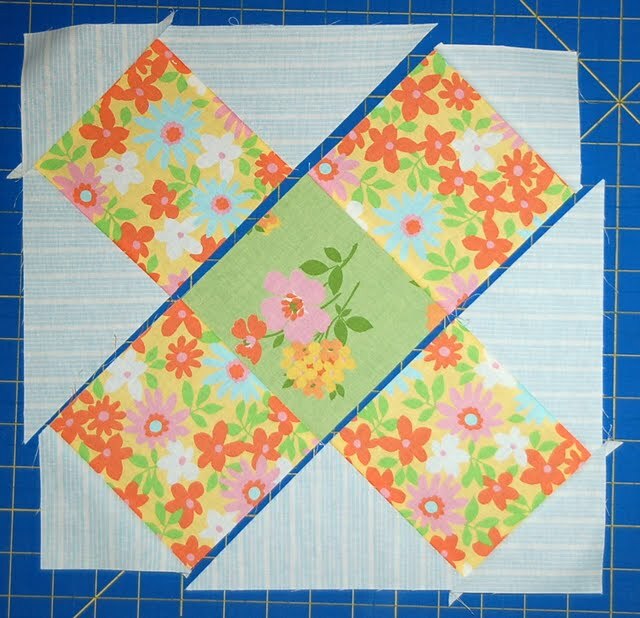 Next add, white rectangles to the sides of your four-patch. 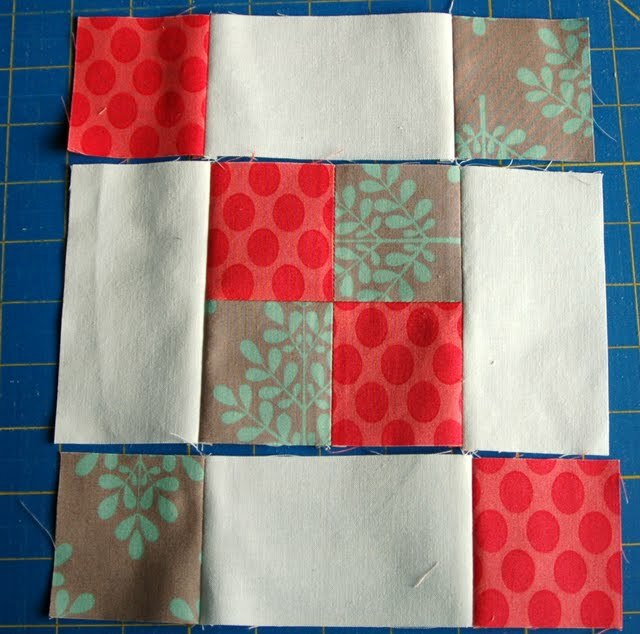 Press, then add the top and bottom, to complete the block. 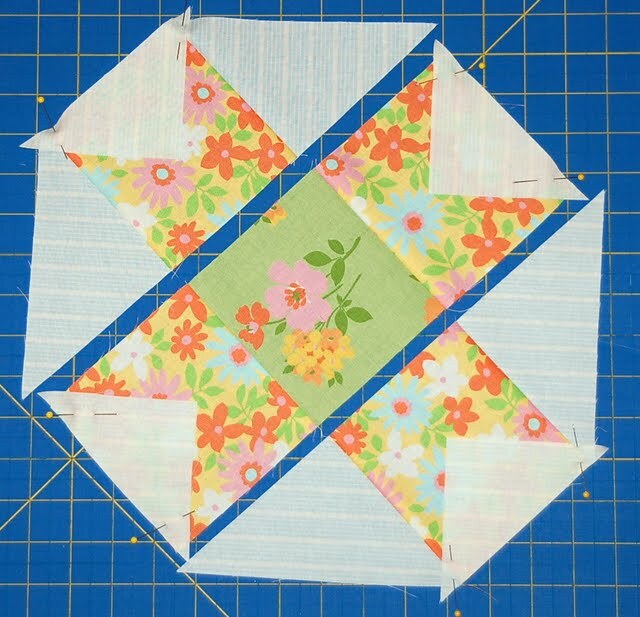 With 25 blocks, you are ready to assemble your top! 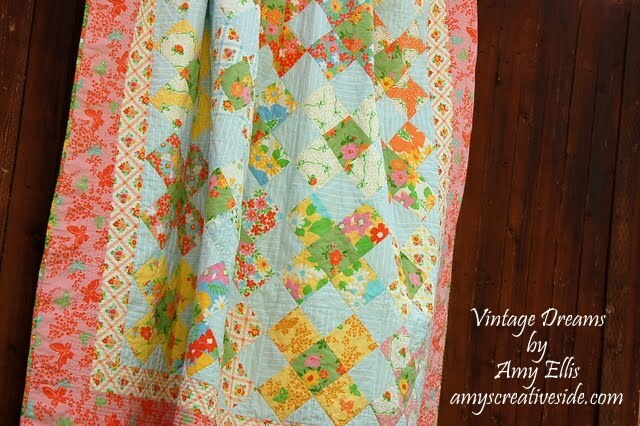 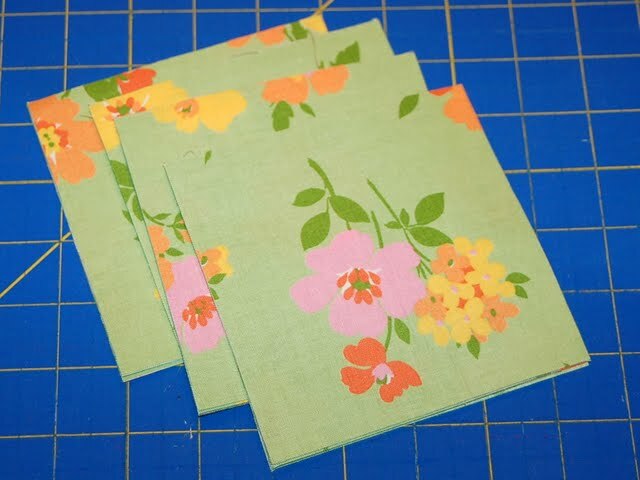 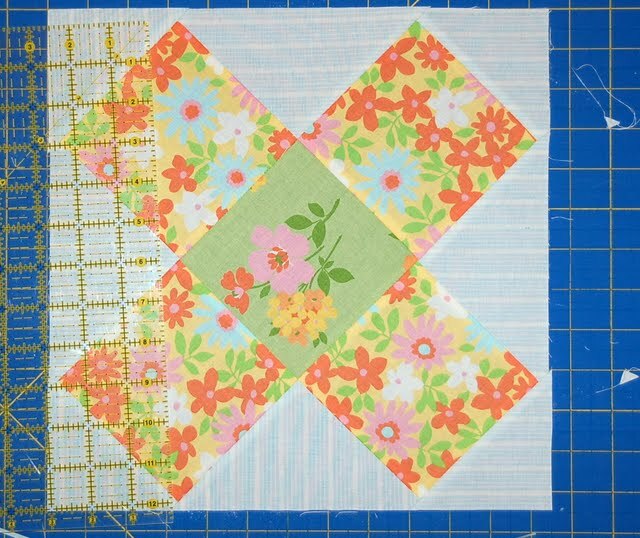 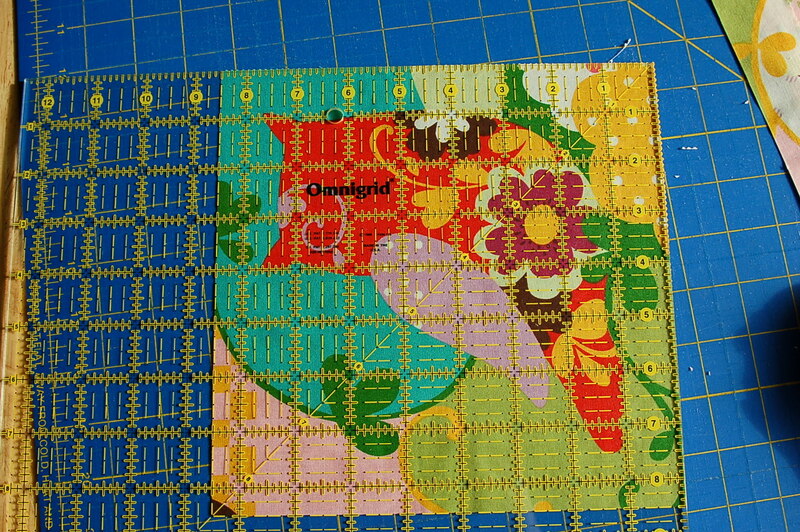 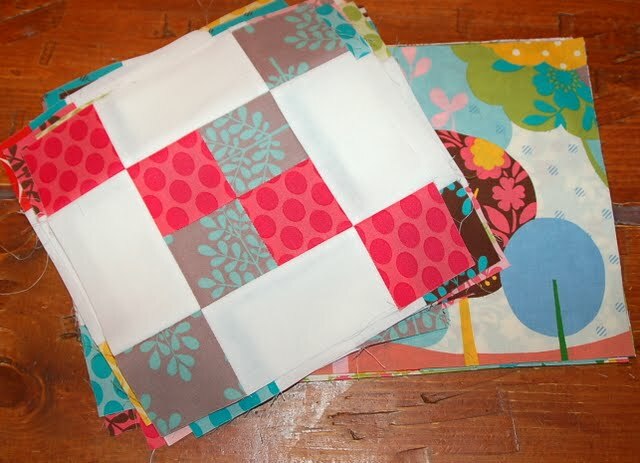 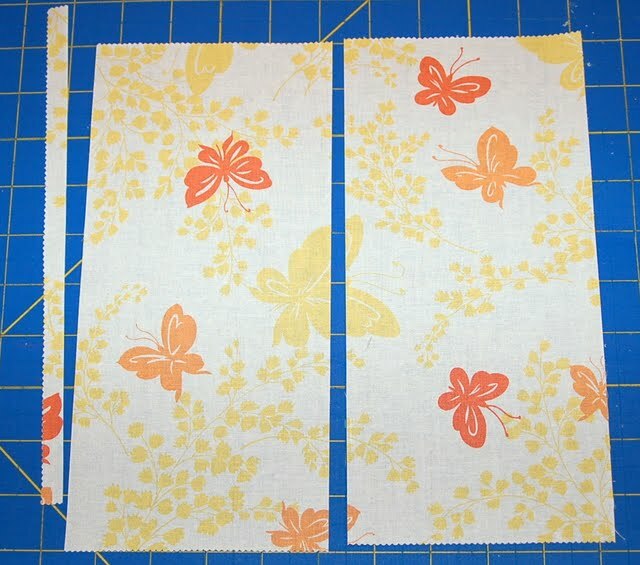 Layout your quilt with the pieced blocks in the corners, and alternate with layer cake squares (as shown in my quilt). 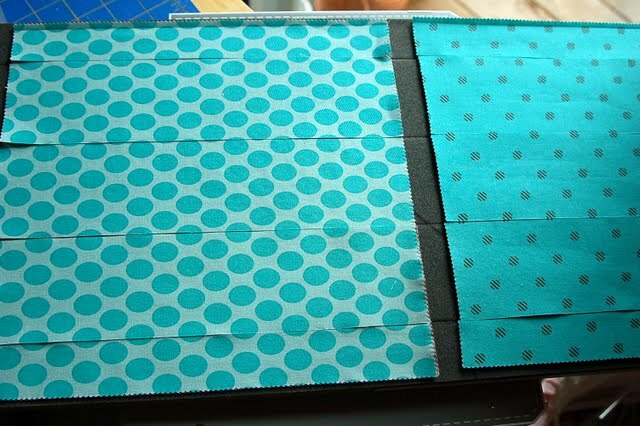 Quilt and bind to finish! 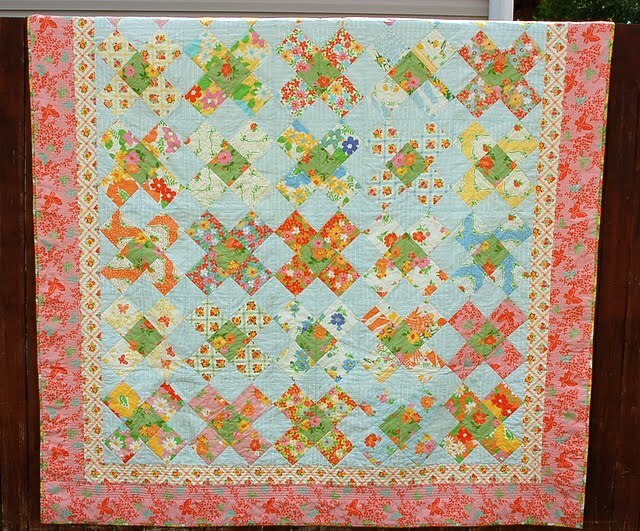 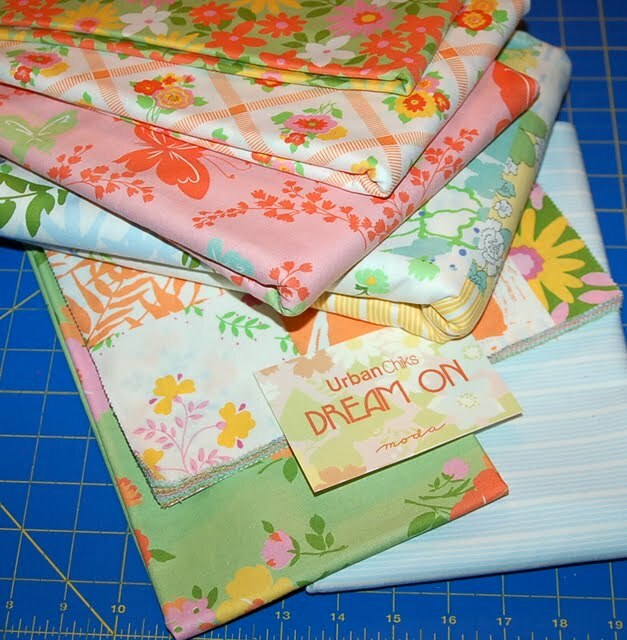 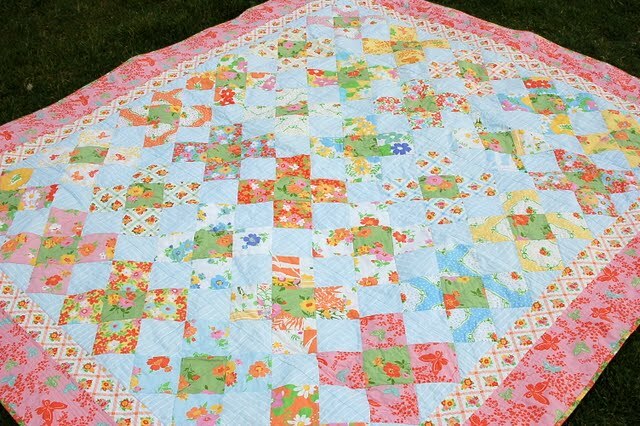 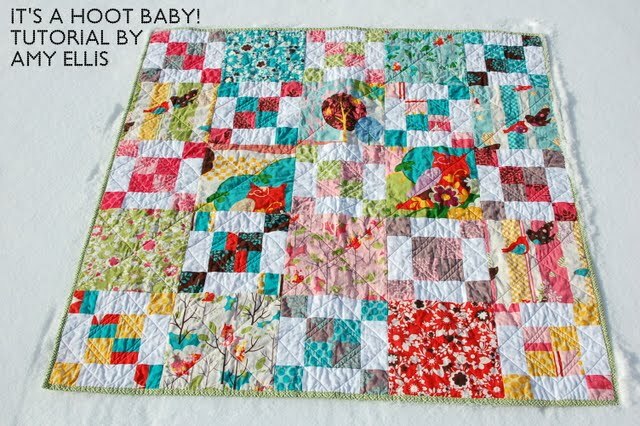 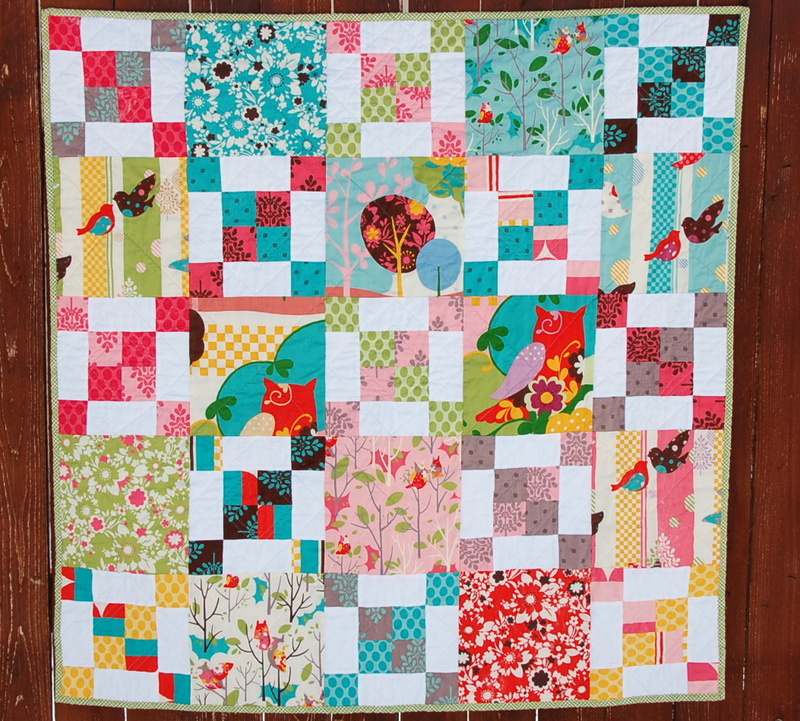 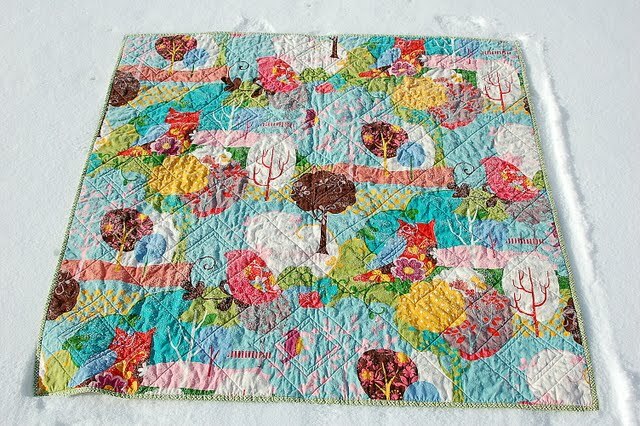 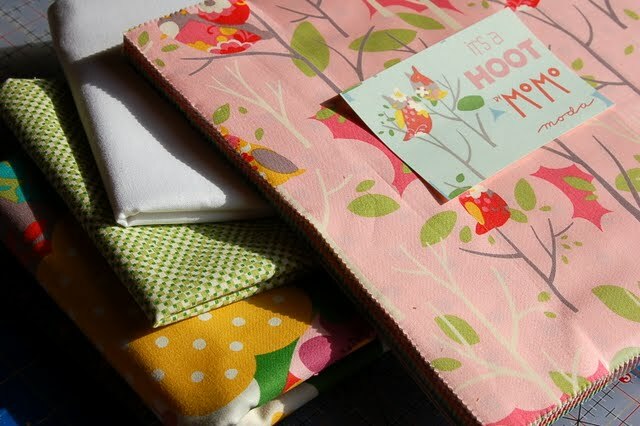 It’s a Hoot Baby – or – one adorable baby quilt!! 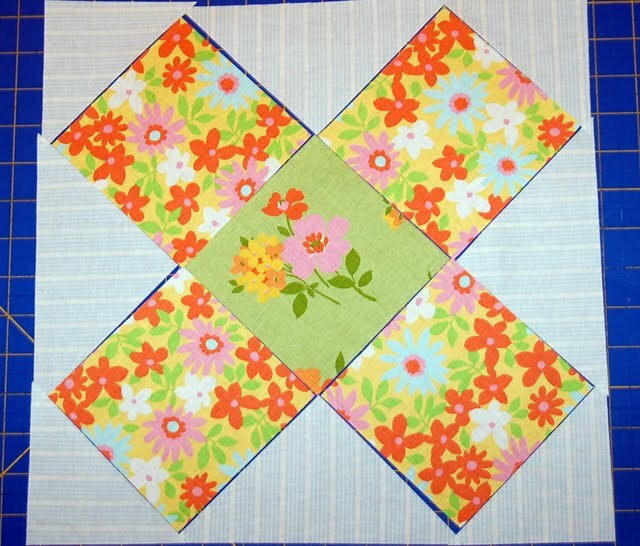 It measures 40″ square. 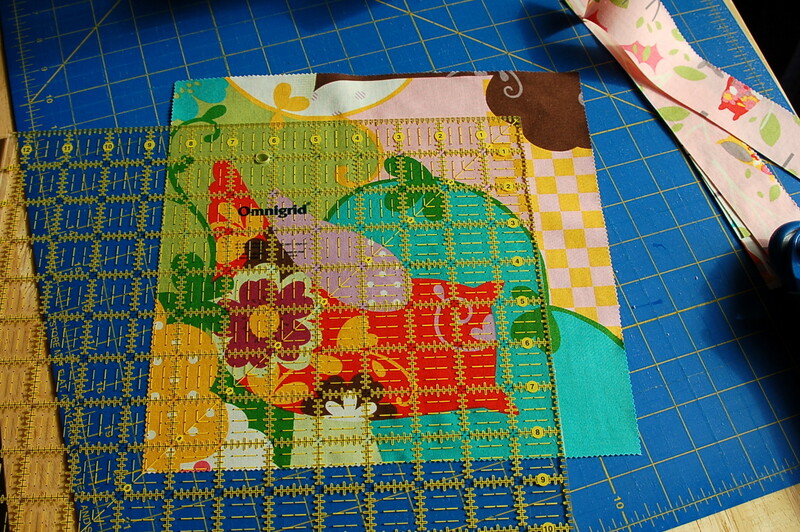 Here’s the back so you can better see my quilting. 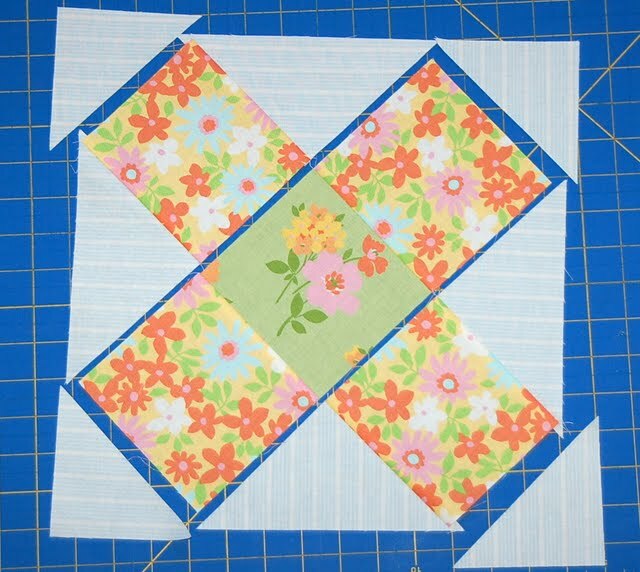 I used my walking foot to add dimension around the pieced blocks, and diagonals to the non-pieced blocks.